When an older couple (neighbors from my childhood years) decided to downsize and leave snowy New York for Florida, they called a guy who “buys stuff.” He came to their house and they were dismayed that he wasn’t interested in buying their very nice wood dining room table or their pristine china or any number of other beautiful things they had once spent a lot of money on. However, he was excited by a beat-up, paint-splattered, pine wood cupboard in the basement that was used to store nails. They were astounded. In their words to my parents, “It was nothing…a piece of junk.” But that’s what he bought. 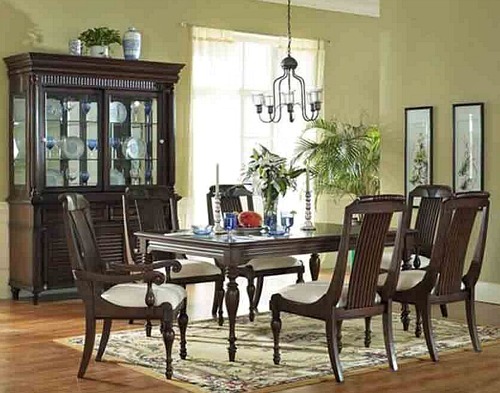 This happened decades ago and even then (long before I started buying and selling vintage stuff) I understood why the guy wanted the unpretentious, beat-up cupboard and not the highly polished, mass-produced dining room table. These days my own heart beats a little faster when I find an item that has the beautiful patina from age and usage…honest wear and tear…edges that have been worn down, paint that’s been rubbed off, a dent or two, odd make-do repairs, fraying and fading, a bit of tarnish or rust. Here are a few things I’ve bought that appealed to me all the more for the honest wear and tear. Most of these things are sold and I was gratified that others saw their beauty too. 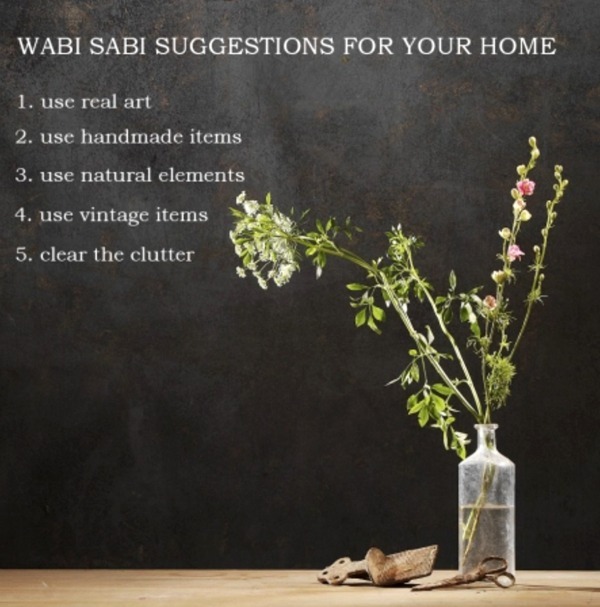 I don’t know much about wabi-sabi philosophy, but I found this wonderful graphic that shares a few simple guidelines for home decor that resonate with me. 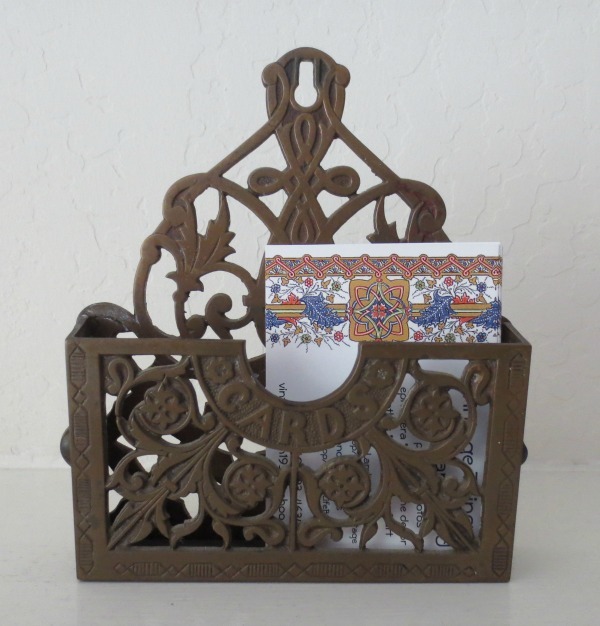 antique metal card holder. In another era this would have been attached to a wall and used to collect visitor’s calling cards. Today, I use it for my business cards. 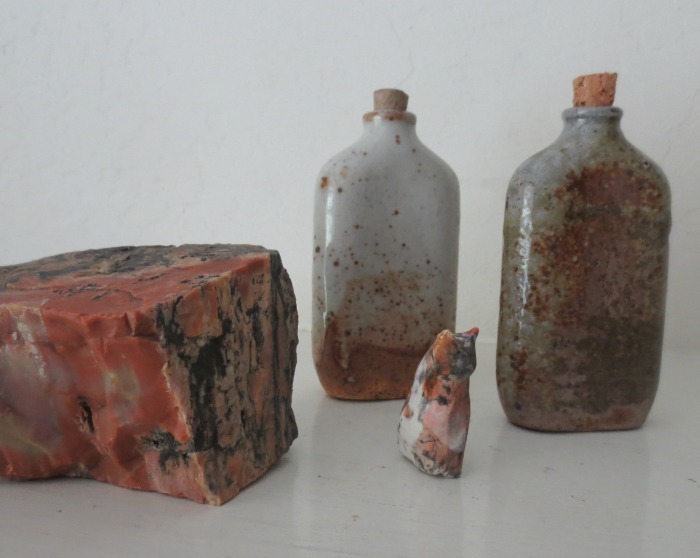 a gathering of humble little items on our mantel: two handmade ceramic flasks, a tiny handmade cat and a piece of petrified wood. a painting by artist and friend Kevin Courter. 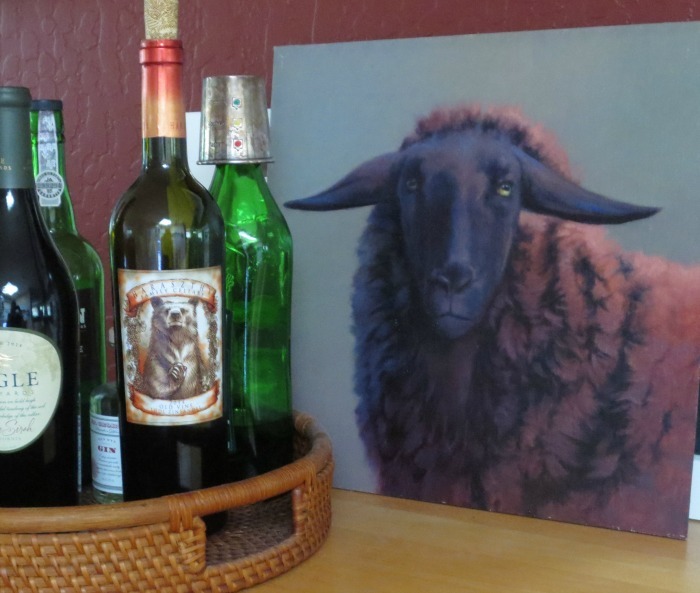 Titled “Baa Baa Black Sheep” I put this charming fellow on our sideboard as a temporary display spot, but Baa Baa seems to like watching over our tray of booze and hasn’t moved! Would love to hear your thoughts. What kind of things fill your home?? I like the items with “character”, too. You made me feel better about my house! It is full of things that mean something to me – my grandfather’s poker, oil lamp and millstone (Alabama) – a road sign to my husband’s family’s hometown (Arkansas) – framed 1845 Norwich University (Vermont) buttons from the uniform of my husband’s great-grandfather – just to name a few things in the Den – the rest of the house is full also. Love reading everything you post! You find the best stuff. I love old things and I like to mix old things with new. I think I border on eclectic. Never heard of wabi-sabi. Thanks for enlightening me. Hi Karen, just wondering if you were wondering what that wooden thing is. It’s so funny that you posted that the day you did. Linda and I were just talking about them the evening before you posted this. Hi Brian. I figured out after I bought it that it was a Chinese rice cake mold. I love this really old one because it’s obviously been used a lot. Do you and Linda use molds like this?? This is not a rice cake mold. This is a Moon Cake mold. To make Moon Cakes for the Harvest Moon festivities. The middle of autumn celebrations with the largest, brightest moon brings family and friends together. We just ordered some but an easier new fangled way. With the one you have it’s tough to get the cake out but its a cool old decorative piece.